Last week’s STEM Symposium for undergraduates, teachers and young scholars conducting summer research at the University of Tennessee featured a total of 53 projects, an all-time high for the event now in its third year. 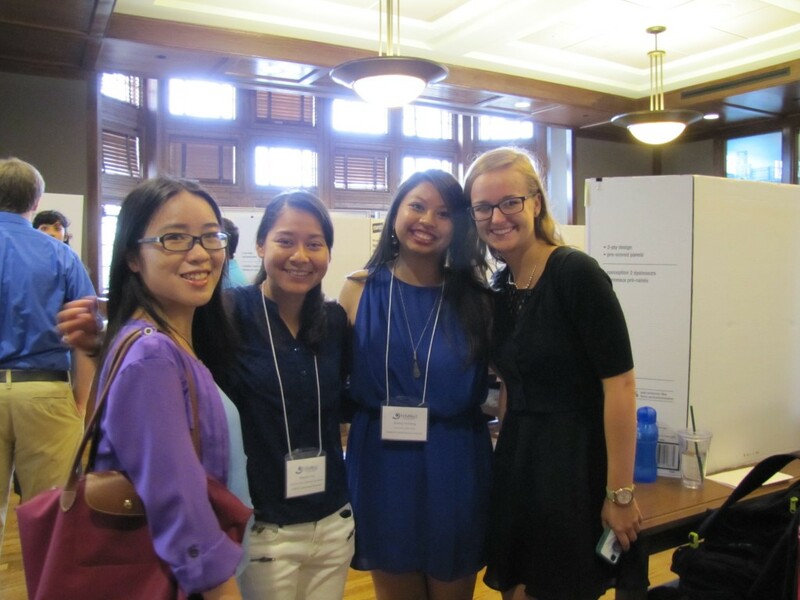 NIMBioS collaborates with three other NSF-supported research centers (CURENT, TNSCORE and NICS) on the UT campus to showcase the work of participants in their summer research programs. The result is a large combined poster session where students get to see and share their work with peers and the campus community. Many UT faculty showed up to encourage and recruit students for graduate programs or undergraduate jobs in their labs. NIMBioS SRE‘s presented in groups on their six different summer projects. For some, it was the first time they had ever created a research poster and their excitement was visible when the posters arrived from the printer. The SRE continues, wrapping up Aug. 1 with student oral presentations at NIMBioS. Some of the Symposium’s excitement was captured in this video from UT’s Office of Research. This entry was posted in Education/Outreach, high school, SRE, Teachers, undergraduates and tagged Education, Education/Outreach, SRE, symposium, teachers. Bookmark the permalink.